We have received $3,550.00 and have been pledged $1,500.00/month for 12 months! We praise the Lord for his provision and look forward to the day we order the trailer and then begin working on the displays. Pray with us! The year is 2019. The place is the United States of America. The concern is OUR next generation. 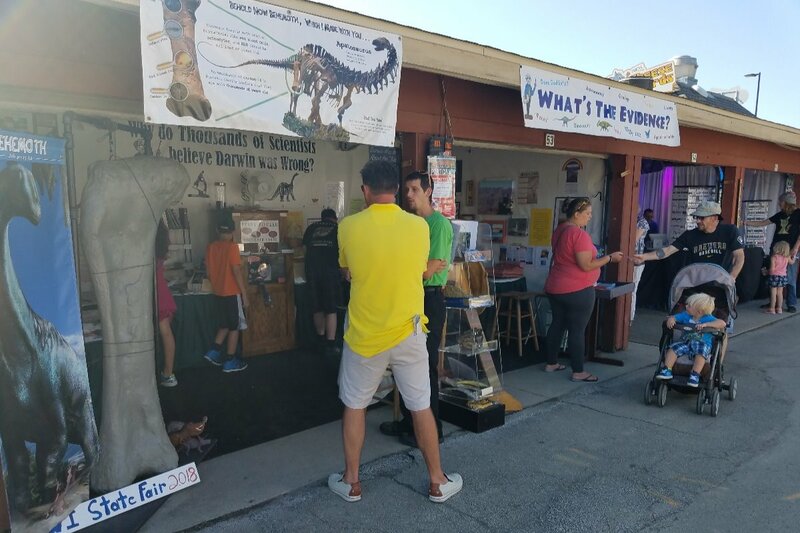 We are What's the Evidence, Inc, a group of Christians who for more than a dozen years have been showcasing evidences for Biblical history, specifically Genesis 1-11, at the Wisconsin State Fair and other fairs and venues throughout Wisconsin. We do this because we want people to come to the knowledge of the saving grace of Jesus Christ, and to obey God's command to go and make disciples. Evolution can be a stumbling block for many. The educational systems, secular museums, public television and the media are one-sided in their presentation of history and science, thus eroding Biblical authority, causing people to reject the truth. Our ministry showcases evidences that observable science confirms what the Bible says about science and history. the meaning of the rainbow and so much more! 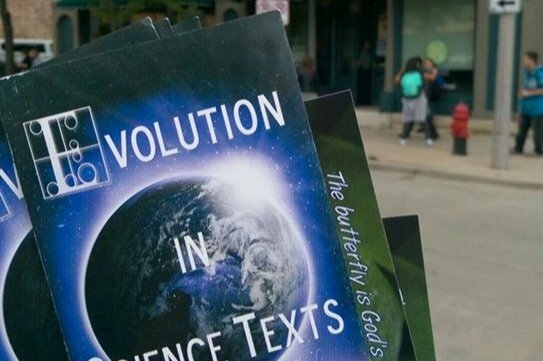 This is a hot topic and many people come to our booth telling us they have conversations at work about creation and evolution and ask us for resources. Was there a worldwide flood as recorded in the Bible? What about complexity in nature? When did death enter our world? 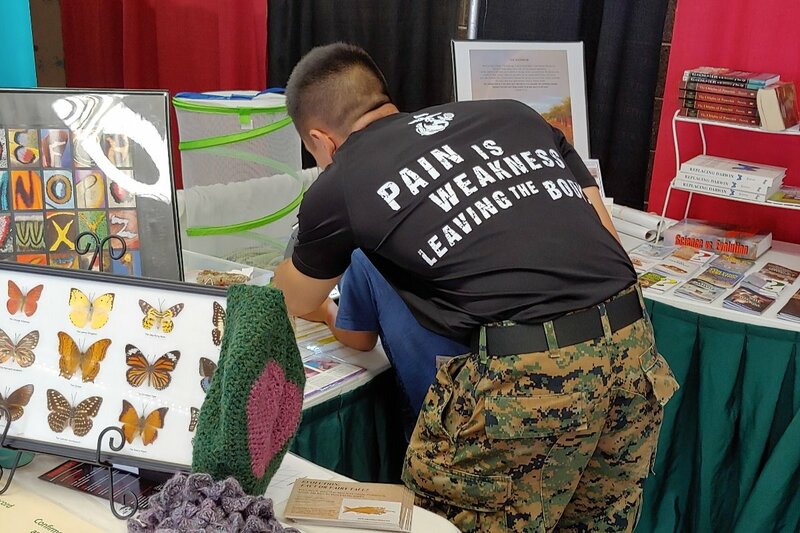 We have consistently been told that we are the best booth at the fair both visually and educationally, and that our displays are better than what they see at the museum. Parents and grandparents have taken our information to give to their children, friends and other family members. Of course, kids themselves love to visit our booth and look at and touch the dinosaur artifacts, take home a piece of real amber or a real fossil shark tooth. They can also press a penny with a Biblical message on our one-of-a kind penny machine. Now we believe it is time to take our message from the fair to the streets and purchase a mobile unit we are calling Genesis Walk Museum which will highlight creation to Christ and be a visual WALK through the first book of the Bible. We know the interest is real. What if we could use our mobile museum outside of schools to reach thousands of s tudents? What if churches could use our unit for VBS, Sunday school, summer camps, Good News Clubs and AWANA clubs? What if we could be a part of local festivals with our museum? What if we could be a bigger part of reaching our communities with The Truth and impact the next generation? The trailer will be very family friendly and ADA accessible so wheel chairs and strollers can easily fit in the aisle. To purchase the trailer we need to raise $45,000. That is the purpose of this fundraising campaign. What's the Evidence, Inc is a group of volunteers who receive no salary. All donations will go toward the Genesis Walk Museum trailer purchase and are tax deductible. Will you link arms with us today and help us take the Biblical message of creation to the streets of our communities? We can't thank you enough for partnering with us! 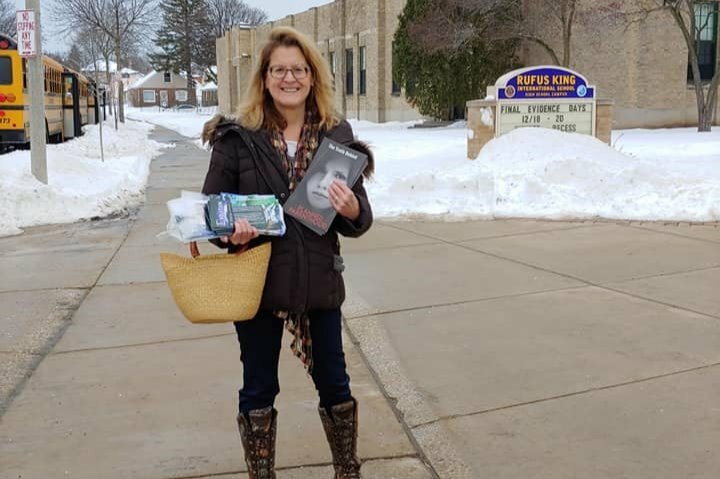 High school literature distribution is fun. Kids are so engaging and it is always great when they ask, "what is this?" and then tell us, "thank you". Pray for our next generation. 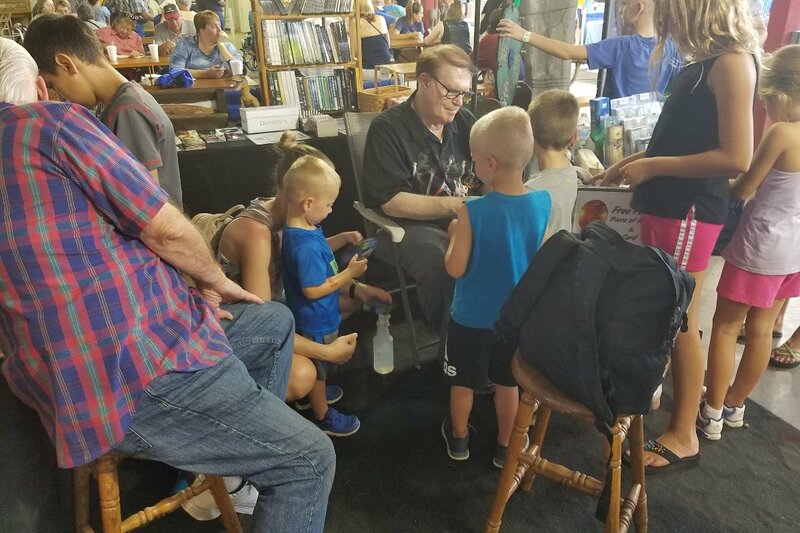 As you can see, our booth is a kid magnet! We have raised $1,500.00 for the mobile museum trailer! If you would like to donate by check please email me. It is fun to see the Lord leading us in this! !